This weeks’ Sports 360 Supremo, after his exploits against New Zealand in the second test last weekend, is St Helens and England winger, Tommy Makinson. The 27 year old Wigan born winger had a fantastic season in the Betfred Super League, as his Saints team came up just short in their quest to win the 2018 Super League title. His performance in the first test against New Zealand showed no signs of a regular season hangover and his stunning hat-trick in the second test at Anfield was proof if we needed it, that he well and truly belongs on the International stage. New Zealand started the game on the front foot, but Makinson was more than a match in defence, as his try saving tackle prevented England’s start from getting worse. He dealt with the high ball well and made some great carries from the off, laying the foundations for his second half heroics. Two tries in any game is good, three at International level is outstanding and when your third is of the quality of Makinson’s, at such a crucial time in the game and the series, you know you have a genuine talent in the ranks. Makinson has spent the entirety of his career so far in the colours of St Helens, but enjoyed short loan spells at both Rochdale Hornets and Whitehaven respectively. 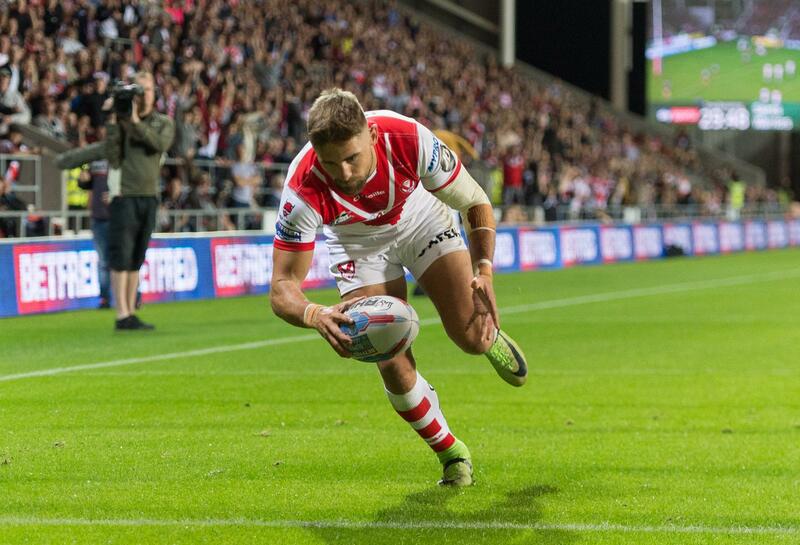 Signing for Saints from Wigan amateur side St Judes and playing for Hindley before that, beating Wigan Warriors in the 2014 Super League Grand Final was a fitting way for a young Tommy Makinson to win his first Super League crown, of which there are certain to be more. He is looking like somewhat of a late bloomer at International level, having clocked up only three caps by the age of 27. Hopefully this means he has plenty left in the legs by the time the World Cup rolls around in 2021 and he can add to his list of honours, that currently reads…. …… 648 points, 199 appearances, 108 tries, 108 goals, 3 caps, 2 league leaders shields, 1 Super League and 1 Sports 360 Supremo. Well played Tommy Makinson!